In 2015 the future of St Andrew's Blubberhouses was in doubt. Heavy expenditure on the roof was necessary. But at a public meeting in September 2015, there was a positive show of support from local people for keeping the church open. 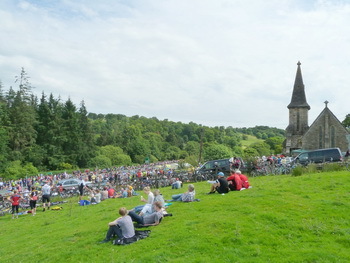 The 'Friends of Blubberhouses Church' is a group dedicated to supporting the church by raising funds to allow the preservation and improvements to go ahead. And by arranging worship and other events the group is getting the community together to uphold the traditions of the church in Blubberhouses. Plans for a kitchen and WC have been received and discussions with the architect are taking place. There's more information in the November minutes. St Andrew's Church was featured in last year's NiddArt festival on Aug 19 and 20 and Aug 26,27,and 28. Various artists' work was on display in the church. Work on the new roof has finished. The next phase will be work to conserve the windows. 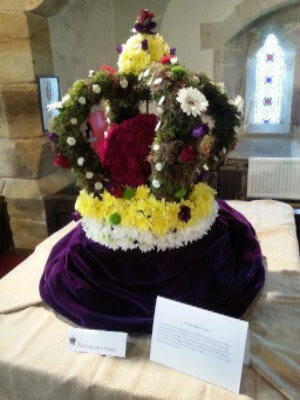 A most successful Flower Festival was held in Blubberhouses Church in 2016 raised over £1,500 for the renovations. The Photo Gallery has images of the wonderful arrangements. Would you like to learn more about the Friends? Can you give help to this new, vibrant group?